Here in the North, we like our kids to rock before they roll on down to the river. 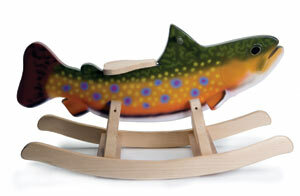 A handmade rockin’ brook trout is just the thing to get your favorite little fry’s feet wet. Northern Angler, Traverse City, 231-933-4730.